Hammersmith and Fulham Council has made Private Eye's Rotten Boroughs section again - for a fourteenth time. 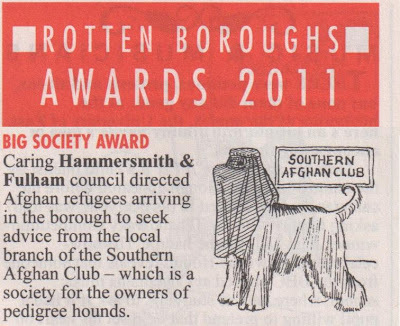 This time for winning one of the 2011 Rotten Borough Annual Awards. The dubious accolade was given because the Conservative run Council closed a support centre for Afghan refugees without taking any care or thought about where they could go for help. The Administration argued it was okay to do this because the refugees could go to the Southern Afghan Club instead. But that turned out to be a dog fanciers' club for those that particularly admired Afghan hounds. You can read more about that and the other heartless advice they offered by clicking here. 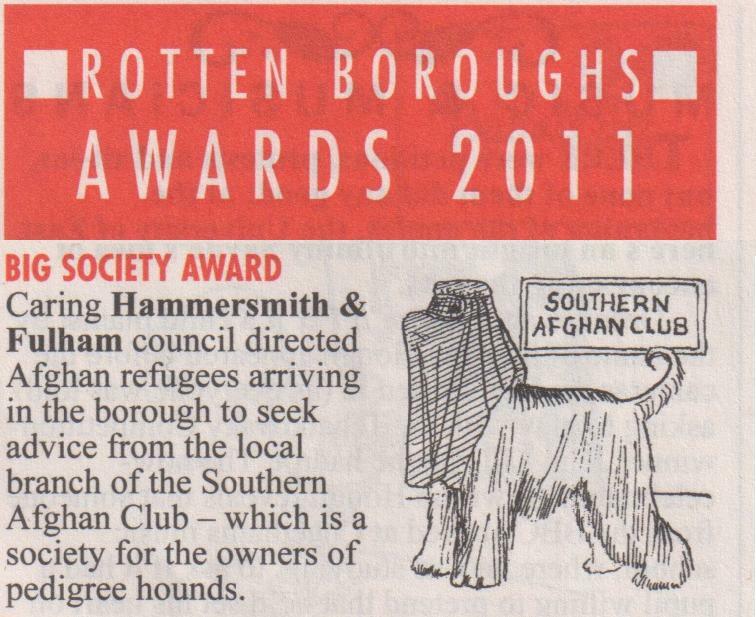 This is the second year in a row that H&F Council has made the Rotten Borough Annual Awards pages. In 2010 it found itself winning under the Retiree of the Year category. That was awarded to Mr. Nick Johnson, one of H&F Council's long standing "full time" "consultants". In 2007 he retired as the Chief Executive of Bexley Council at the tender age of 54 because of ill health - which entitled him to draw his generous pension. But he then popped up in Hammersmith and Fulham fourteen weeks later as a consultant Chief Executive. H&F Council has now paid him an amount of money that is roughly the same sum as equivalent to a 2% council tax cut for every household in the Borough since he started working here in 2008 . 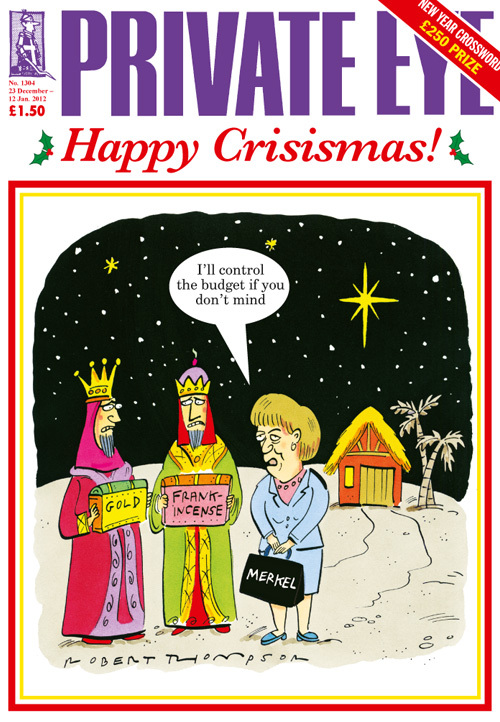 You can read more about Private Eye's Rotten Borough Awards in its Christmas edition (no 1304) which is available at all good newsagents.